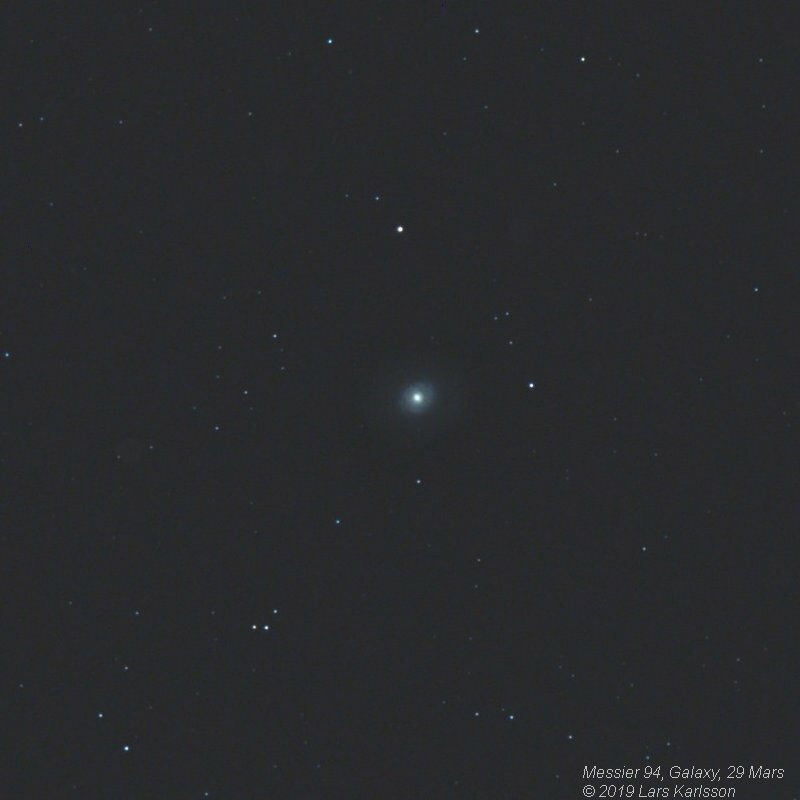 Comment : M94 is a galaxy discovered 1781 by the French astronomer Pierre Mechain. It needs a lot of more exposure, many hours and longer focal length. Interesting to see the weak halo around the arms of the galaxy, it's also arms of the galaxy.